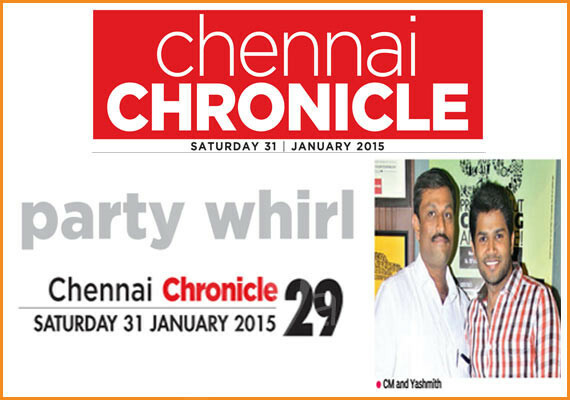 A well-known watering hole in the city was brimming woith energy as music played the life of the party for the night. It was a fun fusion of commercial hits and dubstep an the latest house dance numbers for the music junkies in the floor with DJ Rabbeqa spinning out some high energy mixes from behind the console. Babita and Nidhi were seen catching up awsy from the loud, thumping music while Tanya and Sohini couldn’t help but move to the beats. Adi and Syna turned heads with her simple and care-free sense of style. 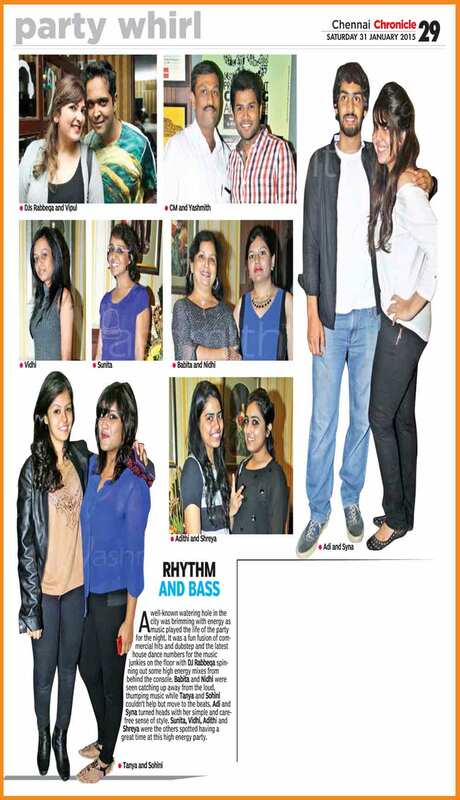 Sunita, Vidhi, Adithi and Shreya were the others spotted having a great time at this high energy party. 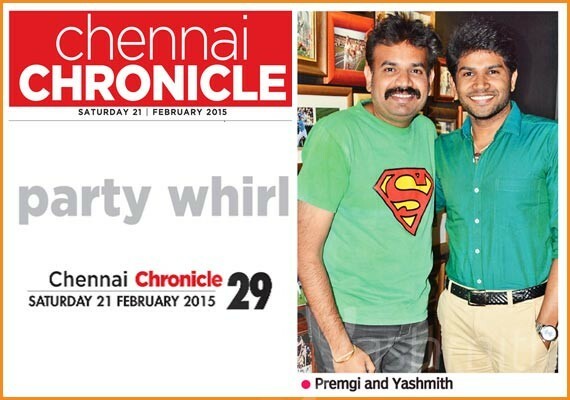 As in Deccan Chronicle, dated: 31/01/2015. Pic Courtesy: Balram Bekay.